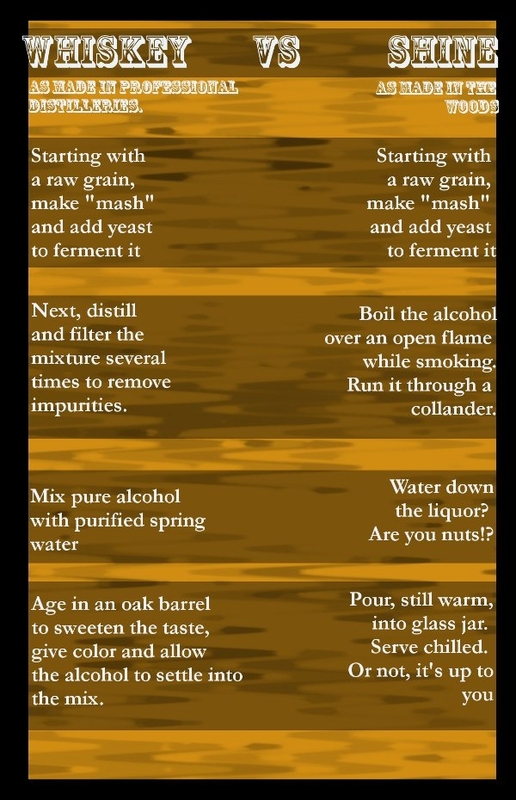 No matter the amount of information out there on the web explaining the difference between classic whiskey and classic moonshine (the high proof stuff you get from a still, not in a liquor store), people still get cornfused. Below is an image that is one of the best summaries I’ve ever seen. Feel free to copy and share with all your drinking buddies the next time one of them claims to be a know it all.